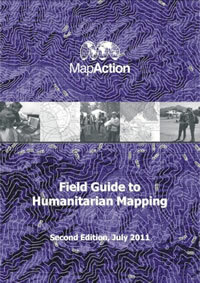 The Second Edition of MapAction's Field Guide to Humanitarian Mapping has been published (July 2011) and is now available for free download. MapAction says, 'The second edition of the Guide contains 35% more content than the first edition. In response to requests from users there is a completely new chapter on data collection with step-by-step instructions on accessing many free map data and satellite imagery sources available for various parts of the world. The first edition was published in 2009.